While it’s now officially the season for shopping and egg-nogging with co-workers, we’re trying to move forward with the House Cat. 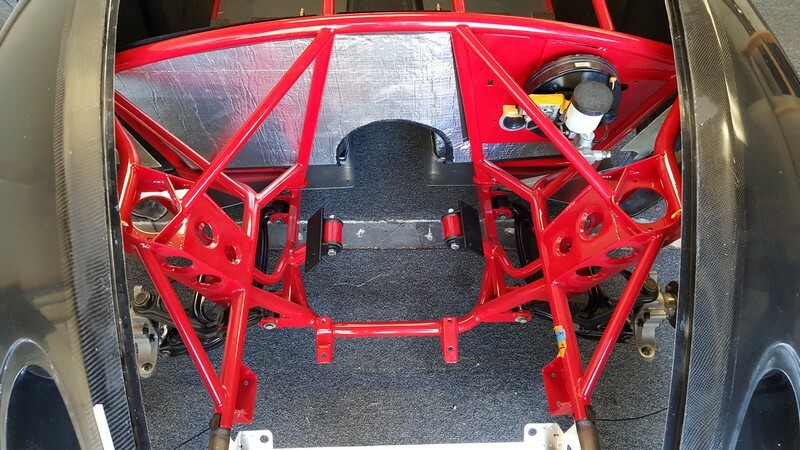 The build is getting close–very close–to the point where the engine and transmission will be installed in the car, and it will become a complete rolling chassis. 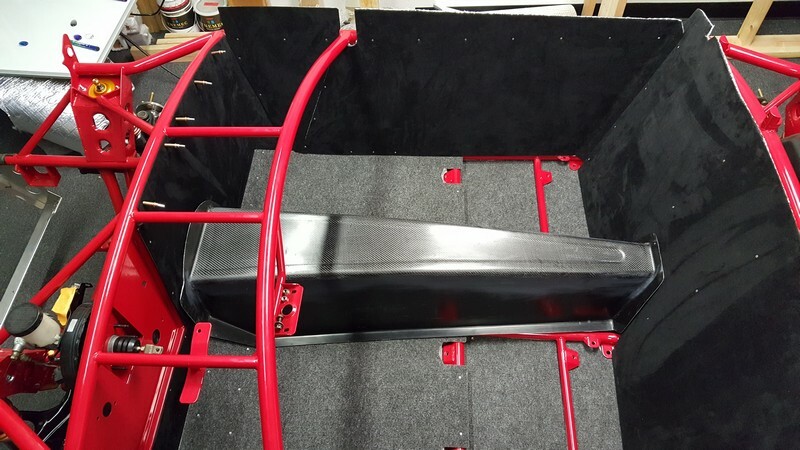 Until then we’re going to take advantage of the extra room created by the missing drive-train to finish out the body and interior. 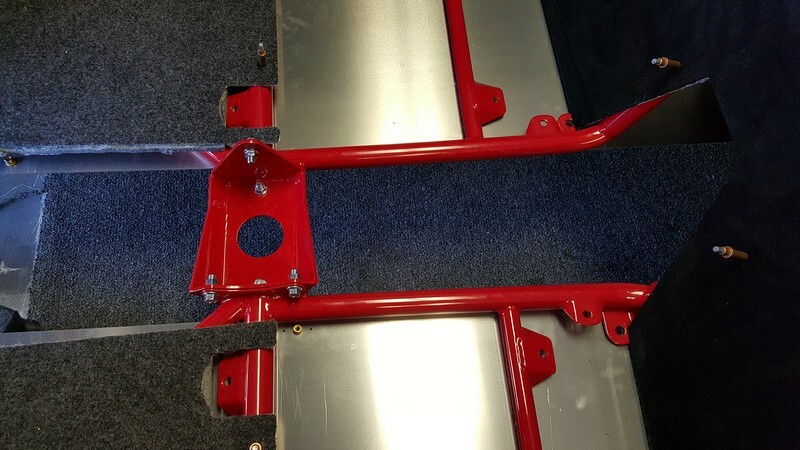 The aluminum interior panels have been drilled and installed, but only after Alcantara (micro-suede) was applied to the inner panel and light weight heat shielding was applied to the outside. 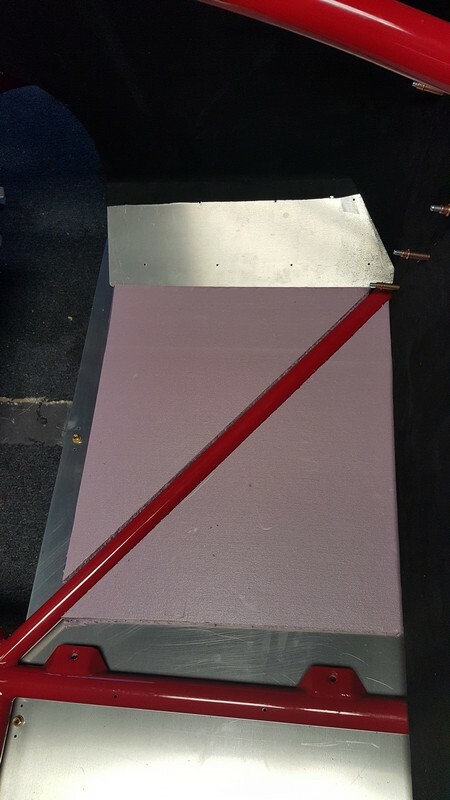 A heavier thermal barrier was applied to the floor and firewall, and 1.5″ foam insulation sheeting was sandwiched between the floor panels. Marine carpet is on the floor. Duct tape and silicone sealant will be added where needed so that the outside stays out, and the inside stays protected from the heat of the engine. One benefit of the Cat’s side muffler is that we avoid the exhaust running under the steel unibody of the car, heating up the occupants like a pan on a stove top. 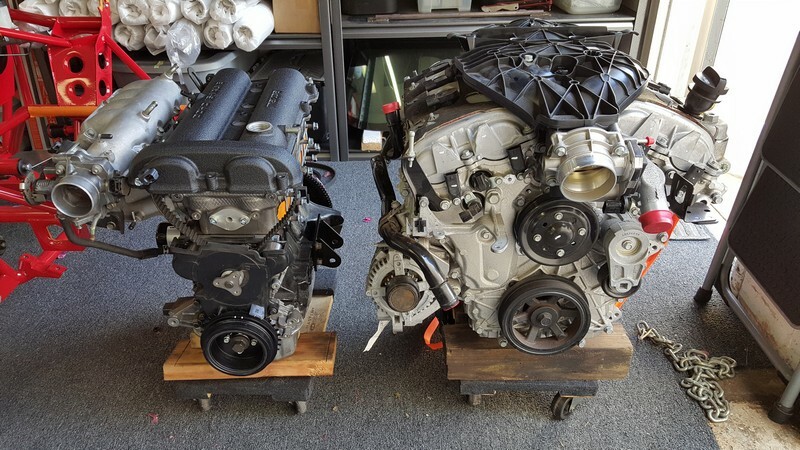 We’ve got some pretty nice parts on the House Cat, even though this car is mainly intended for the street. 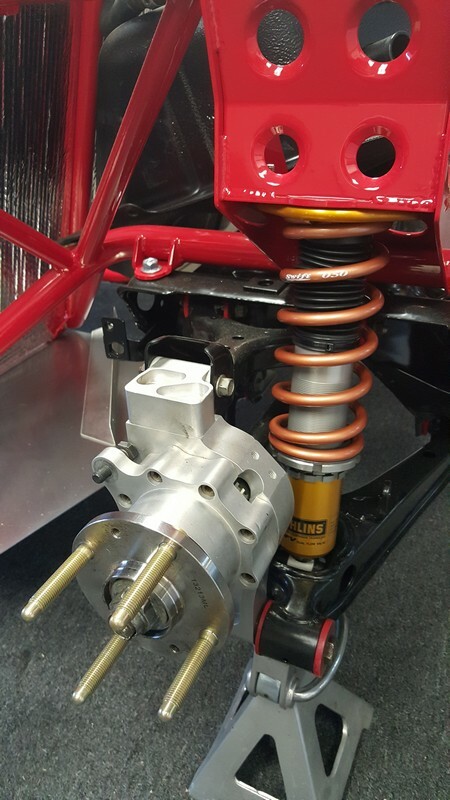 The Öhlins and Swift springs are a nice step up from our original Spec Bilstein setup. Thrust bearings were added under the springs. The concept behind thrust bearings is that the springs compress in a more natural fashion when allowed to rotate slightly, instead of compressing and expanding slightly thereby causing friction in the shock. I’ve never tried thrust bearings out before, and frankly probably won’t notice a difference because the Öhlins shocks will be a new sensation for me as well. Besides the new hard parts, the body was made with black gelcoat as it will probably end up with a grey paint scheme. Right now the plan is to have the same paint scheme as the current car, except that the orange striping will be replaced with real carbon fiber. Let’s hope it works out. The Center Brace bolts in two planes, and ties the floor together. The Firewall is covered in fiber-backed, reflective heat shielding good for up to 1,750 degrees of protection. 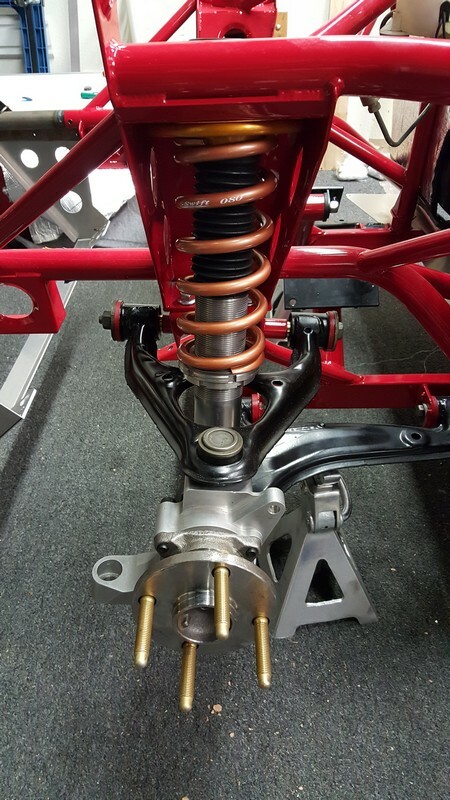 Öhlins shocks are the benchmark by which all others are compared. Keisler Hubs are stronger, lighter, and lower the roll center and Cg of the Cat. Protect from heat, add stiffness to the floor, almost weightless. Win. The floor got the same material as the firewall as well. Even the rear firewall got lightweight heat protection. While it’s tempting to drop in the LFX engine, that goes on the track car, which is up next. Love the lines. Can you drive it on the roads or is it a track car? Anything in the pipe line for a convertible/hard top? It’s a track car that can be made to be street legal. 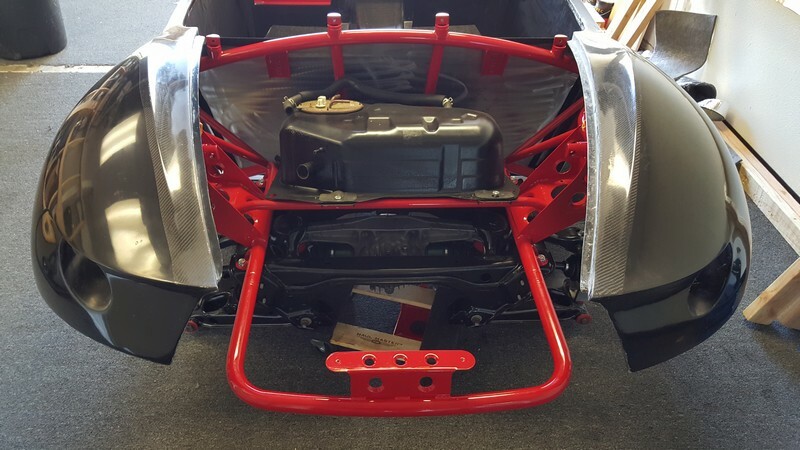 We’ve got plans for a top, but the plans for the new CFR bodywork and frame are first in line.